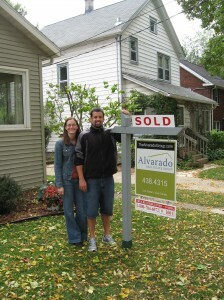 Are you trying to figure out what your Madison home is worth? Do you want to know if your assessed value is what you can sell your home for? The value of your home is not something you can simply plug some numbers into a computer and have it spit out the magic number. So who or what determines the value of a home? The value of your property is determined by what a BUYER is willing to pay and a SELLER is willing to accept in Madison’s real estate market today. Buyers determine the price they will pay by comparing your home to other properties that have sold in the area and balancing that with specific features of each home. And a big yard may be worth more to one family than it is to another. Ranch vs. multi-level homes? Again, it depends on the Buyers. However, there are factors that help us determine a price range and many times we are spot on in determining the right price in today’s market. We see hundreds of Madison homes, talk to Sellers and Buyers on a daily basis and our experience in listening to the market, being active in the market and negotiating every single day in this market gives us the perspective you can benefit from. Fill out this form and we will contact you shortly. Thank you.